Singing is a regular occurrence in our house. For no apparent reason someone will break out in a song and others will jump in to join the group. It is not an uncommon scenario for Walt Disney songs to be belted out (with all the voices and lyrics). With three strong young men coming in and out of our home on a regular basis, more often than not the large conceited antihero of Disney’s Beauty and the Beast will also make his entrance by way of the lyrics from his song, Gaston. The strong voices boom out the conceited narrative and lyrics (complete with perfect inflection and accent) that Gaston and his sidekick, LeFoe, sing praising Gaston’s size, strength, brawn, and every other attribute you can think of. Though it is absolutely hilarious to hear my guys sing and act out this crazy song, it is a different story in real life. Anyone who can boast so proudly about themselves is not very fun to be around. Though in the story Gaston is trying to get Belle, the beauty, to fall in love with him, his efforts fall flat as she is completely turned off by his conceited and selfish attitude. This is certainly not the way to win or show love. True love does not boast or act in a proud manner. It does nothing out of selfish ambition or vain conceit, but in humility considers others better than themselves. It does not look only to its own interests, but also to the interests of others. This is the attitude that Christ Jesus had. Though He, of anyone, had the right to boast, He made Himself nothing and took on the form of a servant. He humbled Himself and became obedient even unto death on a cross. This is the greatest display of love ever made. 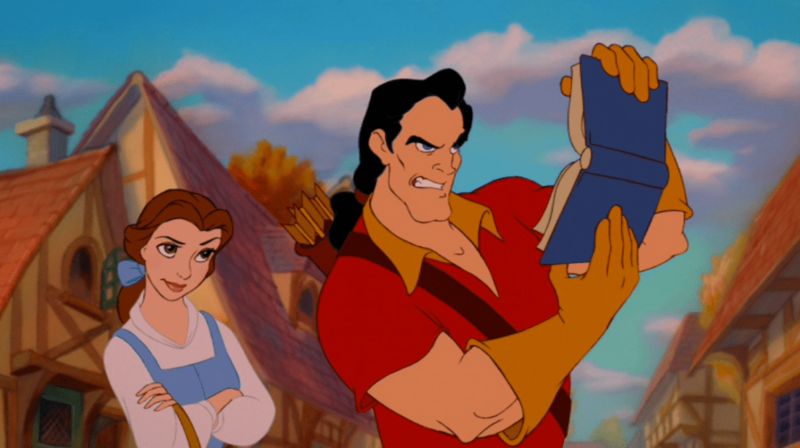 Gaston may be an intimidating specimen, more manly than any other guy, but we know that didn’t get him what he wanted. If you want to be like Jesus, then put pride and boasting aside; otherwise, you’ll become just another boorish Gaston.